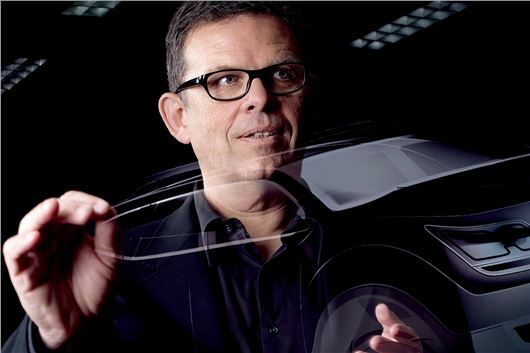 Peter Schreyer has been awarded the Honorary Golden Steering Wheel for outstanding achievement in the automotive industry. Currently President and Chief Design Officer of the Hyundai Motor Group, Schreyer was previously responsible for the design of the original Audi TT, A3, A4, A6, the Volkswagen new Beetle and the Volkswagen Passat. He gave Audi its distinctive 'Barbeque' grille and unified the entire KIA range behind its distinctive 'Bow Tie' or 'Tiger' nose. With overall design responsibility for the world's fifth largest car manufacturer, Schreyer is only the second designer in the 31-year history of the Golden Steering Wheel to receive the award. Giorgetto Giugiaro received it in 1995. The most recent recipients of the award include Ferdinand Piëch, Chairman of the Volkswagen Supervisory Board (2012), Alan Mulally, CEO of Ford Motor Company (2011) and Norbert Reithofer, CEO of BMW (2010). The competition is organised by Germany's Bild am Sonntag and AutoBild, and the official presentation ceremony will take place on 12 November 2013 in Berlin. Schreyer said: "I am exceedingly proud to receive this important award. It is a great honour for me personally, and at the same time it is recognition for our design teams all around the world who for years have been delivering such excellent work." "Kia Motors Corporation gave me the unique opportunity to start from scratch and give an automobile brand a completely new, characteristic face. Overall design responsibility for the entire Hyundai Motor Group has added to this the exciting challenge of taking the Hyundai design forward and at the same time clearly differentiating the design strategies of the two brands," explained the 60-year-old designer. At Kia, Schreyer has developed a design philosophy that stands for simplicity and clarity, which has made a considerable contribution to the success of the brand - in the past five years, Kia has doubled its global sales and in 2012 sold more than 2.7 million cars. The Hyundai brand has also enjoyed strong growth in recent years, taking total sales to 7.1 million units last year. More than 155,000 of these cars went to Germany, where the group is presently the biggest car importer. Under Schreyer's leadership the Kia Design Studios in Korea, the United States and Frankfurt have created a number of striking cars. These include the cult crossover Kia Soul, the dynamic compact SUV Kia Sportage, the elegantly sporty Kia Optima and a succession of stunning concept cars. The flair and appeal of Kia design is not only visible in the brand's market success but also in the wealth of awards that Kia has received since Peter Schreyer joined the company's ranks. In the globally renowned red dot design awards, ten Kia models have been awarded the coveted red dot, with the mid-size saloon Kia Optima and the new Kia pro_cee'd even receiving the Best of the Best award. Experts have also praised the overall strategy of Kia's brand design, and the jury of the Automotive Brand Contest awarded the manufacturer the Best of the Best prize in the 2011 Brand Design category. The Golden Steering Wheel is considered the most important European automobile prize. Founded in 1976, the award recognises the best new car models of the year, while the Honorary Golden Steering Wheel has been presented to leaders in the automotive industry since 1983.